Please join us RAM Cellars for a very special spring release event, happening on Saturday, April 20th, from 5pm to 9pm at Enso Winery (1416 SE Stark Street, Portland, OR, 97216). We’ll be hanging with our amazing friends and fellow local vendors from Vine and Dandy Shop and Iron Lilly Designs and pouring a slew of new – and current release – wines for you. 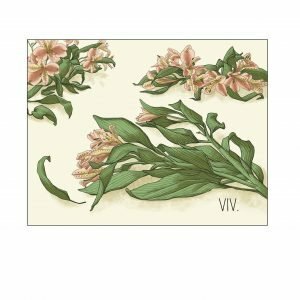 This new label, dubbed VIV for multiple reasons, will adorn a special limited release white, rosé, and red wine. Naming the label VIV is both a nod to our winemakers own journey through transition, and a recognition of the meaning of the French root word ‘Viv’: “to live / to be alive.” Simply put, by having the courage to be herself, our own Vivianne will live much longer, and with that extra life, there is good to be done. To that end, $5 from the sale of every bottle of VIV wine that is sold will be donated to the Transgender Legal Defense and Education Fund, a cause both incredibly personal and incredibly important to us. So please, join us as we head into the next chapter for RAM Cellars. Let’s all embrace spring together, and do good while we’re at it? There will be a $10 tasting fee for this event. HOWEVER, all proceeds collected for tasting fees will also be donated directly to the Transgender Legal Defense and Education Fund! Wines to be released include all 3 new VIV label wines, as well as the spring release white and rosé wines from RAM Cellars. Tickets are available through Eventbrite, the link from the RAM Cellars Facebook event, and at the event on April 20th. Please join us for an evening of wine, music, and fun in support of this great cause!